The end of February is the perfect time to jumpstart, reassess, or fine-tune your savings game-plan. It’s America Saves Week, a national campaign designed to get you off your savings duff. You’ll be in good company. Over 40 thousand people pledged to save during last year’s campaign. And you’ll want to include your kids too. Why? Because money habits can settle in as early as age 7. And, sadly, most kids aren’t learning much about money in school. That means it’s up to you, and you need to get started. Now. The team at America Saves Week promotes 6 saving strategies. Here’s how you can apply each one to your kids. Wait. How do you automate deposits to your kid’s piggy bank? Oh, and while you’re at it, pay your kids an extremely generous Bank-Of-Mom/Dad interest rate. They deserve something much more compelling than the near-zero rate you’ll find at a real financial institution these days. Motivation matters. Kids who automatically save a portion of their allowance, chore, odd job, or gift money throughout childhood won’t flinch at automatically deducting savings from their paychecks as adults. Socialize the pay-yourself-first concept as early as you can. So how do kids access their “cloud piggy bank” money? They use a prepaid debit card or a bank debit card. Hey, hold on! Shouldn’t kids only use cash? Well, only if you also believe kids should only use slide rules to solve math problems. It’s 2017 people! Try jamming coins in an iTunes account. Not. Seriously though, here are 6 (or, maybe 5) reasons your kids should stop using cash. This one is more obvious. There are tons of things you can do to turn saving into a family exercise. Here are 10 ideas. Try one or two. Perform a family grocery audit. Collaborate with the kids on a money saving meal plan. 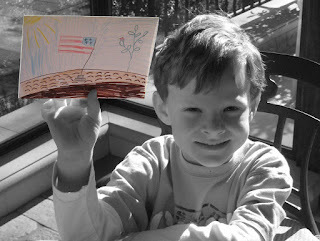 Authorize your kid’s DIY project. Adopt a family money motto. Conduct a non-judgmental spending audit with your teen. Show kids how to escape the “captive audience tax” by buying ahead. Turn your kid’s next treat outing into a mini budgeting lesson. Take your family swear jar online. Let your kids see you leave stores empty handed. 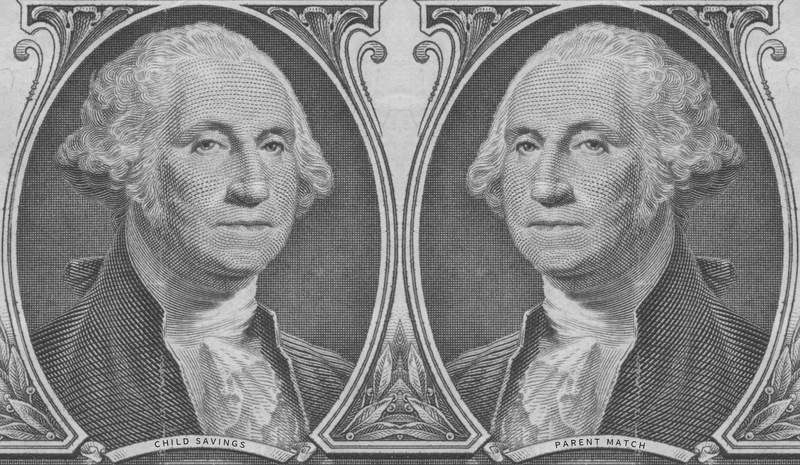 Reward your kids with homemade Mom/Dad dollars instead of cash. Save for retirement? Before your 20s? As soon as your teen brings home that first paycheck from a summer job, jump on it. That’s when you want to roll out the “Family 401(k)” plan. In a nutshell, that means: open a Roth IRA, offer a parent (and even a grandparent) match to help max out the allowed contribution, and stash it in a low cost, broadly diversified index fund for the long haul. Rinse and repeat year after year. The power of starting early is incredible. You’ll find more info about the Family 401(k) idea, and how I “sold” it to my teens here. It’s easily one of the smartest financial parenting moves I’ve ever made. Again, with working teens, this can be a surprise savings opportunity. That’s because many teens have no idea how to fill out a W-4. As a result, many end up accumulating unnecessary tax withholding at the end of the year. That’s when you can teach your teen how to file taxes for free, snag that refund, and plunk it in the Family 401(k) — see above. For youngsters who have no clue what taxes are all about, give them a quick (if not traumatic) introduction with the Conan O’Brien method. Let’s certainly hope not. Fortunately, youngsters can’t get their own credit cards. And please tell me they aren’t running around with yours! That said, be sure to explain to kids how credit cards work. They see you using yours all the time, so you need to fill them in. Try a conversation like this one. Then, let your kids cut their card-carrying teeth on a family friendly prepaid card. Find one with with no risk of debt or overdraft fees. Don’t let your kids graduate to a credit card until they pass the No Decline Challenge for at least 6 months. When they’ve proven they’re ready, consider this hybrid prepaid/credit card approach to safely build a credit score while staying on budget. Oh, and never make loans to your kids, right? Actually, I beg to differ. Getting an early taste of the burden of debt and how to responsibly pay it off is something I want my kids to experience early. Better to experience that now under my watchful eye rather than later when the the stakes are high. That’s why I let each of my kids take out loans from the Bank Of Dad for big ticket items, like laptops. Deducting loan payments from allowance and chore earnings for months on end is a real eye opener for a kid. Before long, loans lose their luster. Yes, kids — and especially teens — have emergencies: that third lost sweatshirt, that first parking ticket. So add an emergency fund bucket to your kid’s spend-save-give system. I’ve found kids actually take a great deal of pride in being able to bail themselves out. Just think how much less debt there would be in America if every kid learned to maintain an emergency fund, long before getting that first credit card. Why wait? At minimum, make sure your kid knows that a credit card is not an emergency fund. But wait, there’s one problem, you say. How can I counsel my child on these savings strategies if I haven’t mastered them myself? Not to worry. You don’t need to be perfect to help your kids learn good money habits. You just have to be willing. You can all learn together. Who knows? Getting more kids to save during America Saves Week might just save America. The sad answer? 34% had zip, zilch, nada. And a whopping 69% had squirreled away less than $1,000 in savings. Worse still, that percentage was up from the year before which weighed in at a lower but still appalling 62%. We’re moving in the wrong direction, people. So, what does that mean for the next generation? Scary. If we’re going to reverse this downward savings trend, we better not only start saving more ourselves, but we better encourage our kids to do the same. 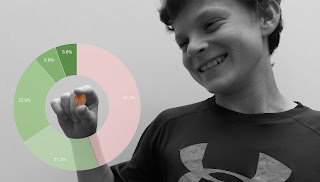 Let your kid choose the spend-save-give allocation. Nudge your kid’s saving impulses with this data. Pay your kid more interest on savings than any bank would. Show your kid how to compartmentalize money. Offer your kid a savings match (with strings attached). Show your kid 75 random things other kids are saving for. Tell your kid this savings story with a surprise ending. Teach your kid these automated savings tricks. Encourage your kid to be a name-caller when saving. Show your kid this $2M picture of an early savings start. Play the sweep to savings game with your kid. Impose a savings tax on your kid’s saving. Harness your teen’s irrationality to build up savings. Add an emergency fund to your kid’s money bucket list. With the stats showing adults faring so poorly with savings, it made me wonder: how are kids doing? 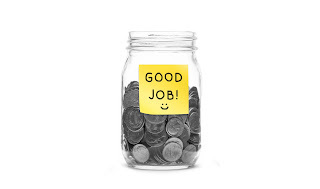 A T. Rowe Price online survey of 1,086 parents found that 79% of kids had either a savings account or a piggy bank. That’s encouraging! Not so encouraging? A UK survey revealed that 46% of parents are raiding their kids savings. Not cool. But what parents say on a survey and what they do in reality often diverge. So, I ran some numbers today on our family finance site to get a reading on what families are really doing. 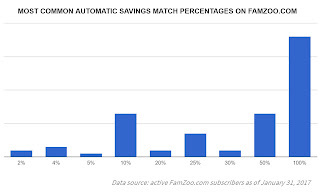 So, the percentage of kids who have zero dollars stashed in a FamZoo savings account is roughly 10% worse than American adults. Fine for a famous maverick, but let’s make saving right for our kids. Then, maybe we can buck the downward trend. Lots of companies reward employees with spot bonuses. It always feels good to be recognized on the spot for a job well done. What if parents rewarded kids with spot bonuses too? Lots of parents are doing just that on our family finance site. See a match for your kid? If you don’t like the idea of a monetary reward, try a non-monetary one: staying up an extra hour on the weekend, an extra hour of computer or gaming time, a sleepover with friends, an ice cream, a movie, or whatever privilege or treat your kid treasures. The words accompanying your spot bonus make a big difference too, whether delivered by a surprise account activity alert or in person. My favorite good-vibe-inducing spot bonus keyword is proud, as in: “I’m proud of you.” I’ve found it’s a sentiment that warms the heart of even the most jaded teen. So, catch your kids doing something good today. Then reward them with a bonus and a kind word. Sound familiar? It’s a regret uttered by countless aging adults grappling with financial reality. They missed the money boat. Don’t let your kids miss the same boat. 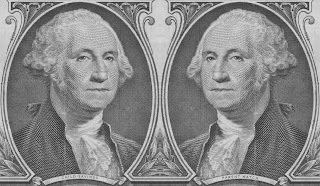 Condition them to recognize and seize one of life’s rare free money opportunities: the matching contribution. Interest versus match. If you’d like to encourage everyday saving for less restricted purposes without all the strings attached, try parent-paid interest instead. See how that works here. Engage grandparents. See if the grandparents would be interested in matching the grandchildren’s savings contributions. Explain what you’re trying to teach your kids. Many grandparents will leap at the opportunity to connect with grandkids over personal responsibility topics like financial literacy. Consider a Roth IRA. If your teen earns W2 income through a summer or part-time job, look into setting up a Roth IRA and offering a matching contribution (within eligibility limits). To see what I’ve done with my teens, see here. It could be a million dollar opportunity. How much should you match? That’s entirely up to you. Curious what other parents are doing? The most popular matching deals currently offered by parents on our family finance site are: 100%, 50% and 10%. But, hey, it’s free money. Any match will do.